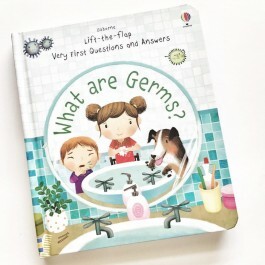 What are germs? 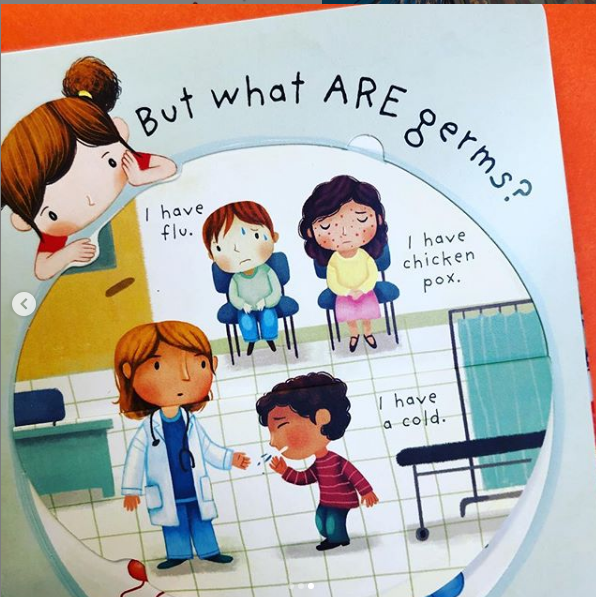 How do they spread? 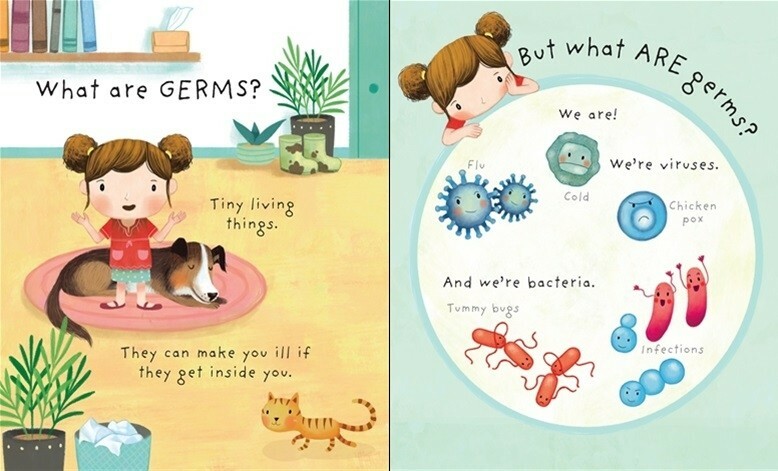 And how do medicines help? 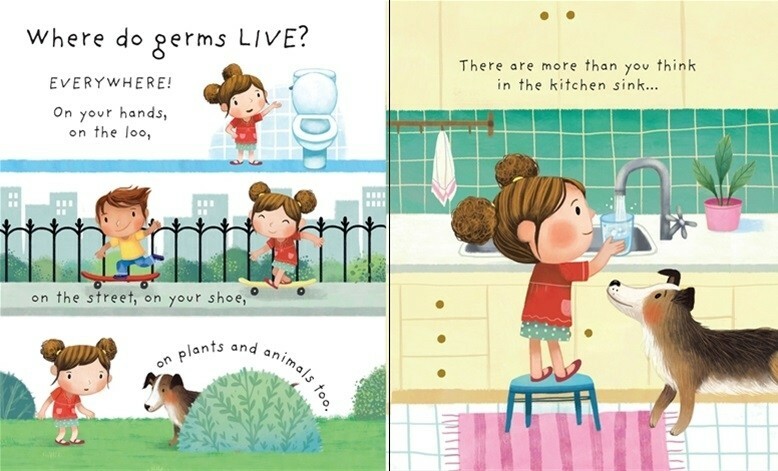 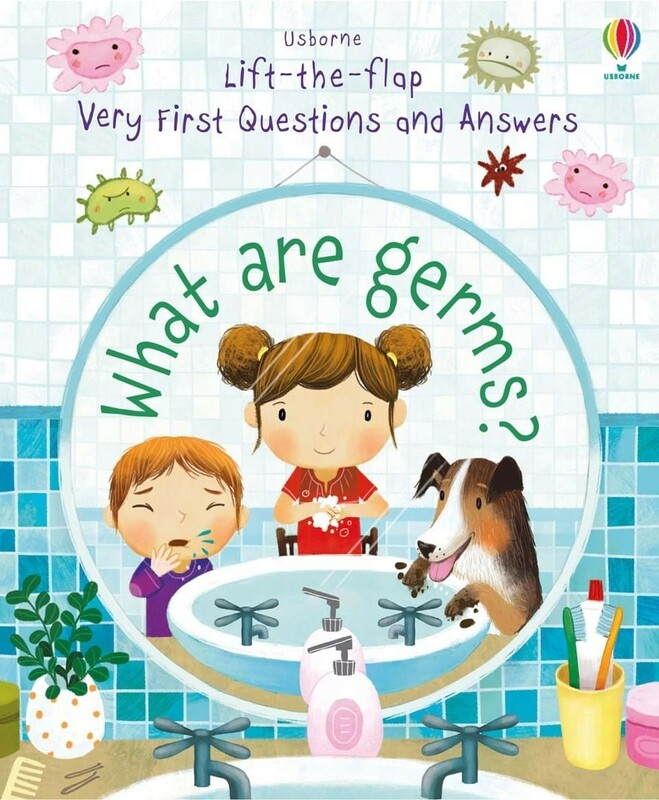 Curious young children can take a closer look at those mischievous, microscopic bacteria and viruses in this fascinating introduction to germs and hygiene, with 30 flaps to lift and tips on hand-washing and staying healthy. 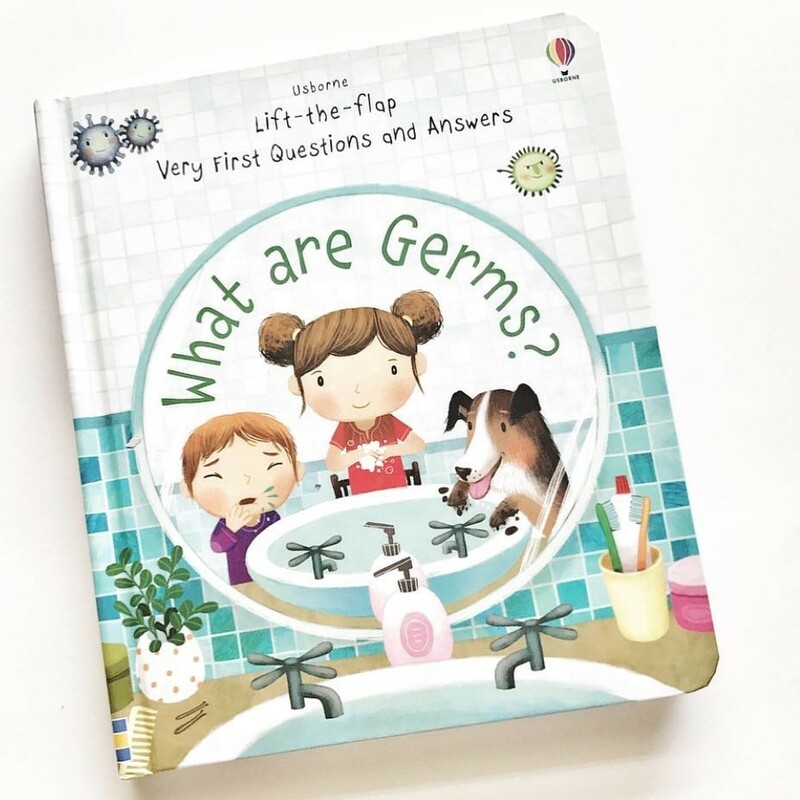 This brilliant lift-the-flap book was written with expert help from scientists at Public Health England, which is a UK government department set up to protect and improve the nation’s health.